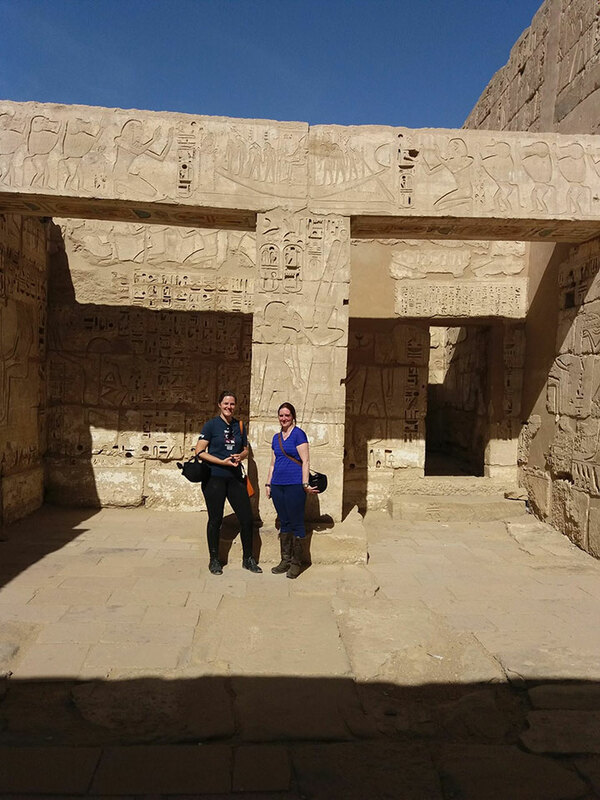 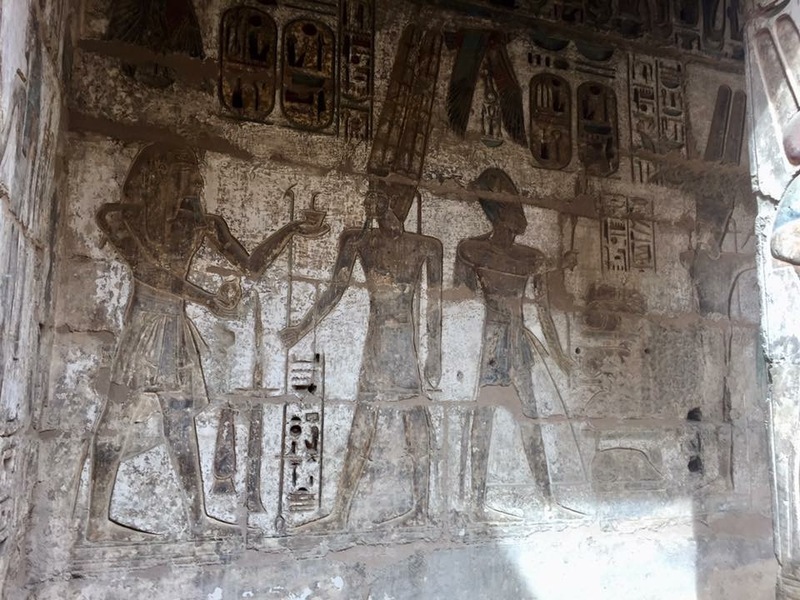 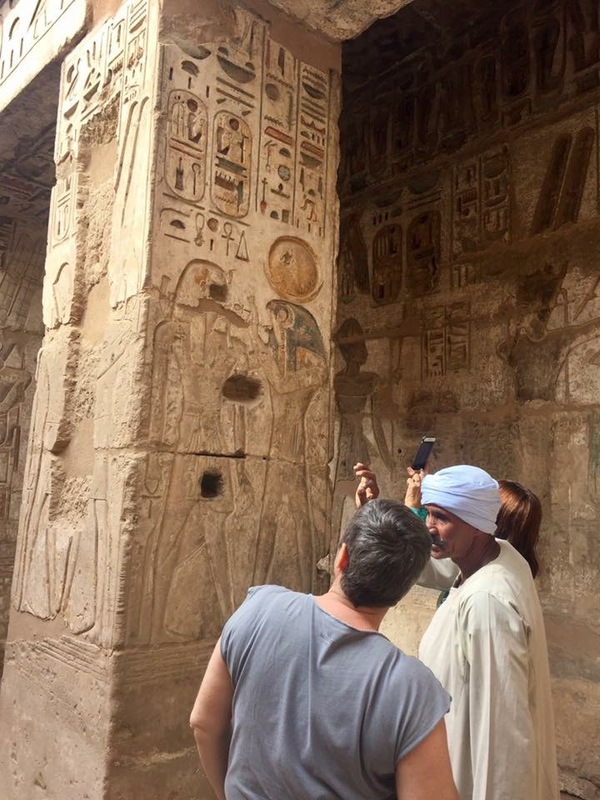 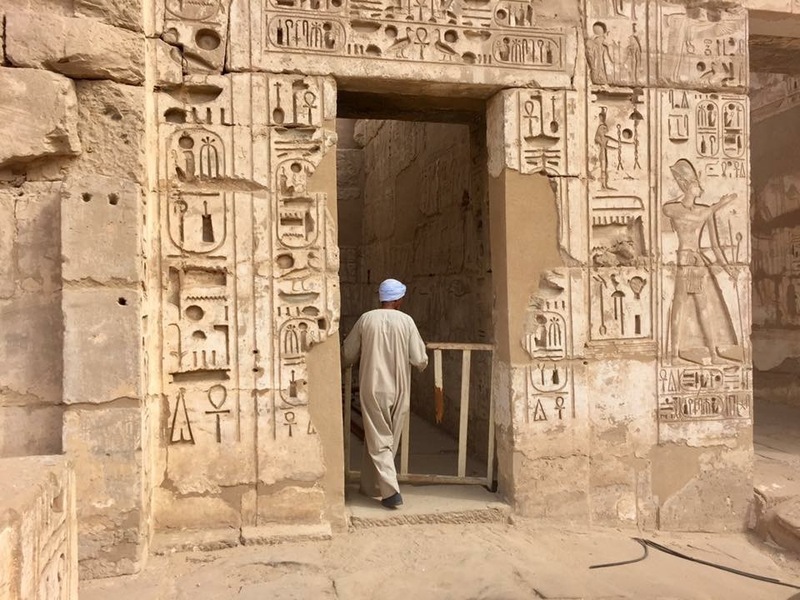 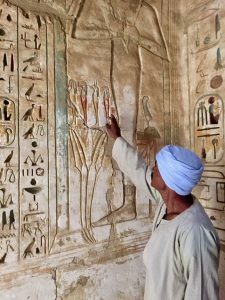 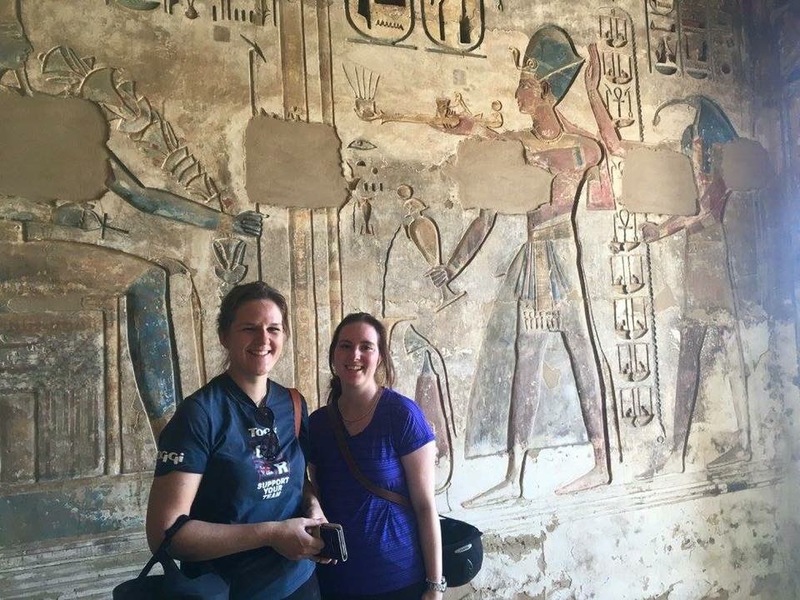 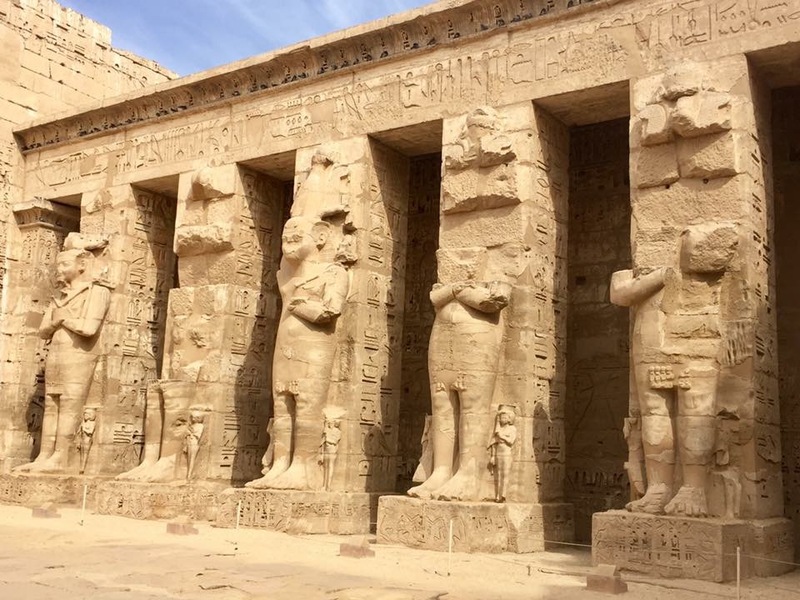 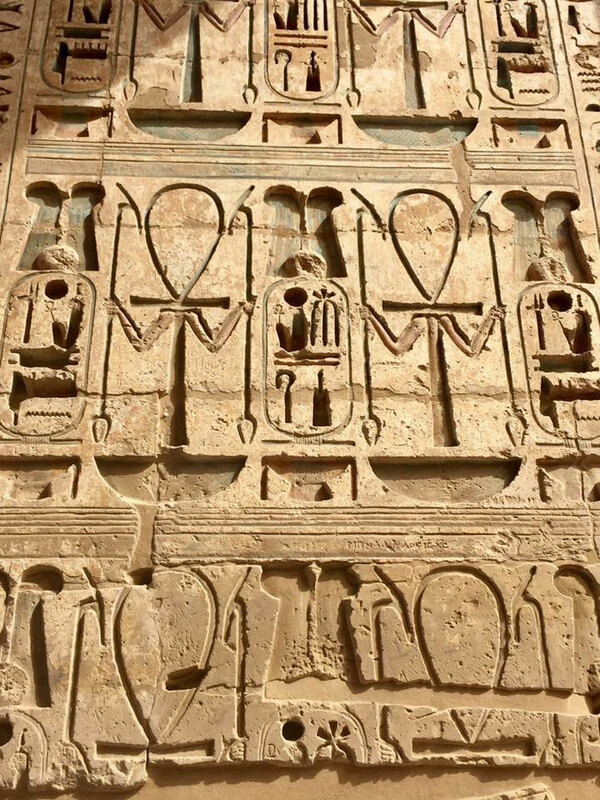 Another massive tick on that bucket list for many visitors to Luxor is a visit to Madinet Habu Temple and we are lucky to have this ancient temple near enough on our doorstep. 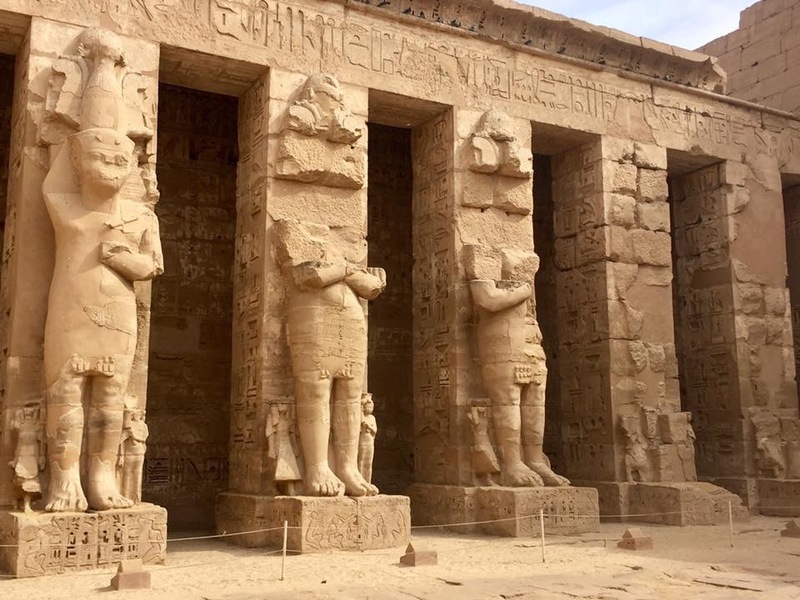 Built as a mortuary temple for Ramses III (1186-1155 BC), one of the great pharaohs of ancient Egypt, Habu Temple was built on land that was considered to have magical powers by local farmers long before his time. 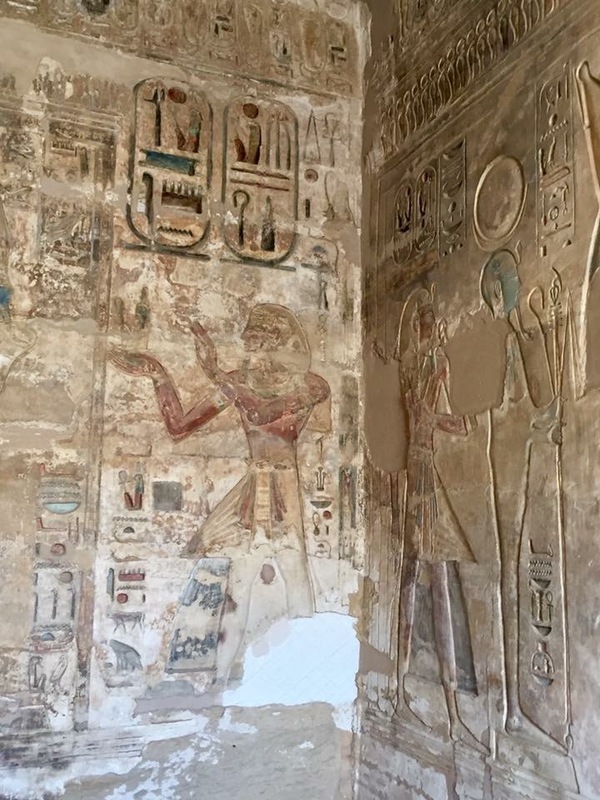 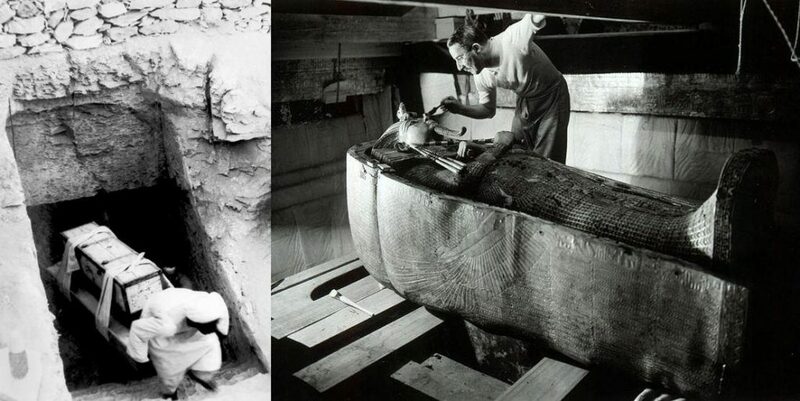 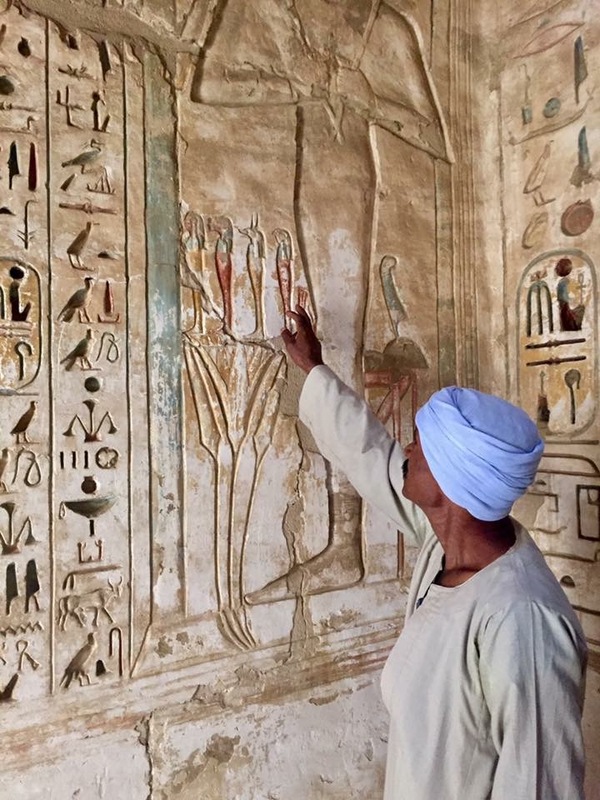 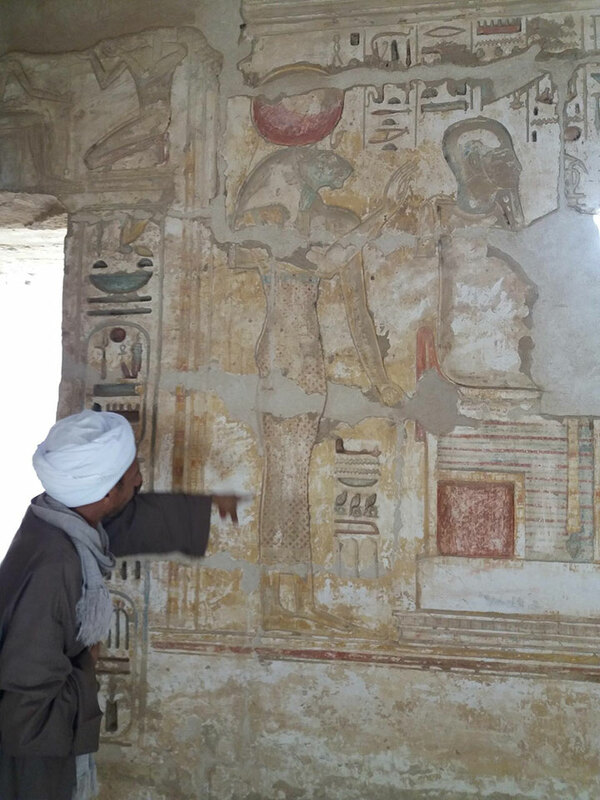 Ramses often lived in the in the adjacent palace, but other deities resided at Medinet Habu permanently. 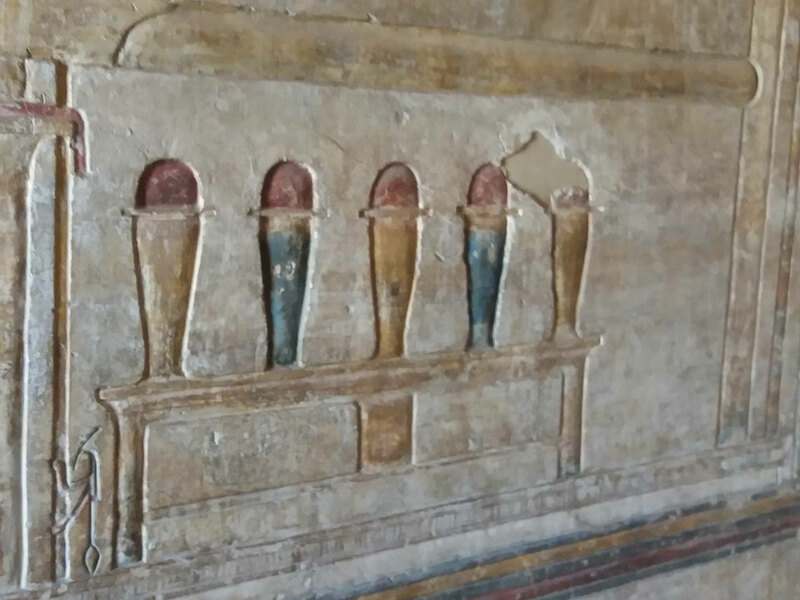 During the Libyan invasions of the late Twentieth Dynasty, Medinet Habu sheltered the entire popular of Thebes. 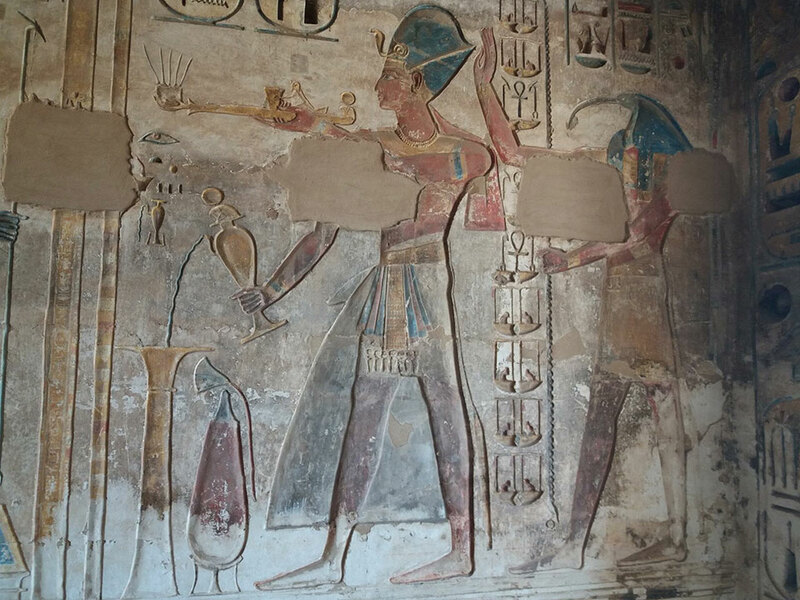 The Temple is now accessible to visitors, steeped in history and only a short ride from our stables on the West Bank. 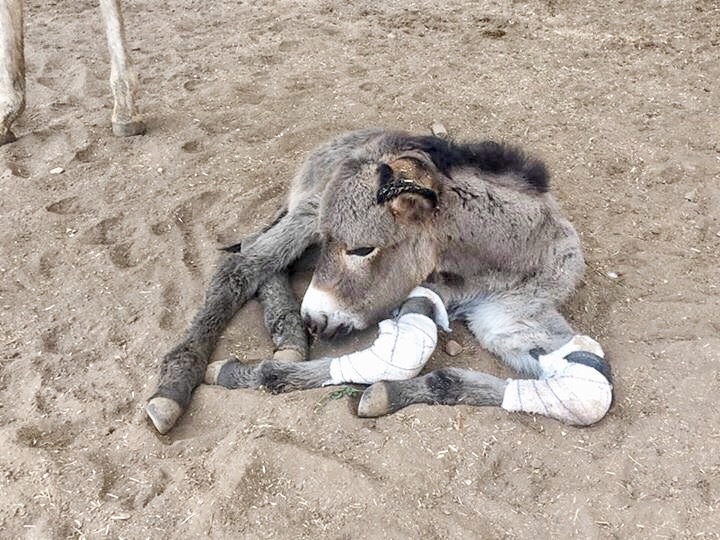 Leaving the stables around 9am, it takes us about 2 hours to ride up to Habu passing through local villages and sugar cane fields, where local farmers tend to their crops. 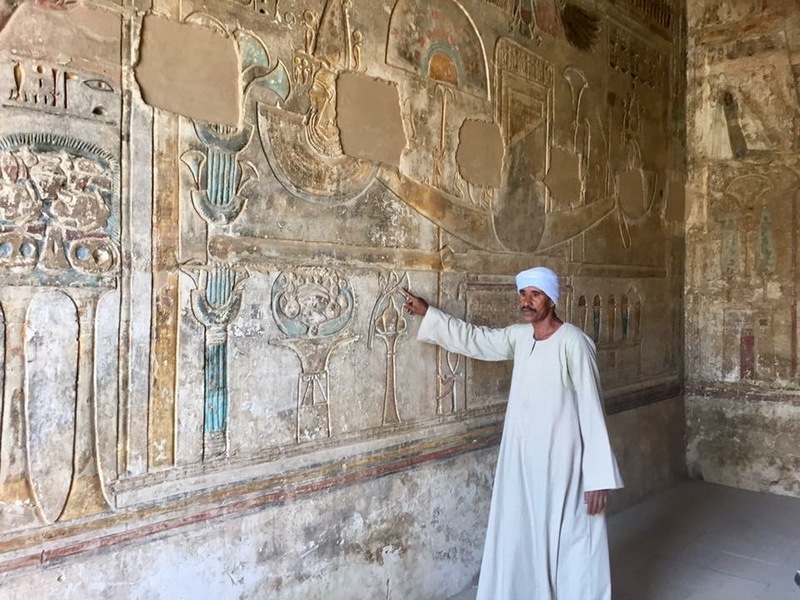 On arrival, we dismount and tether the horses outside in the shade before heading inside this magnificent complex to explore and learn more about its history. 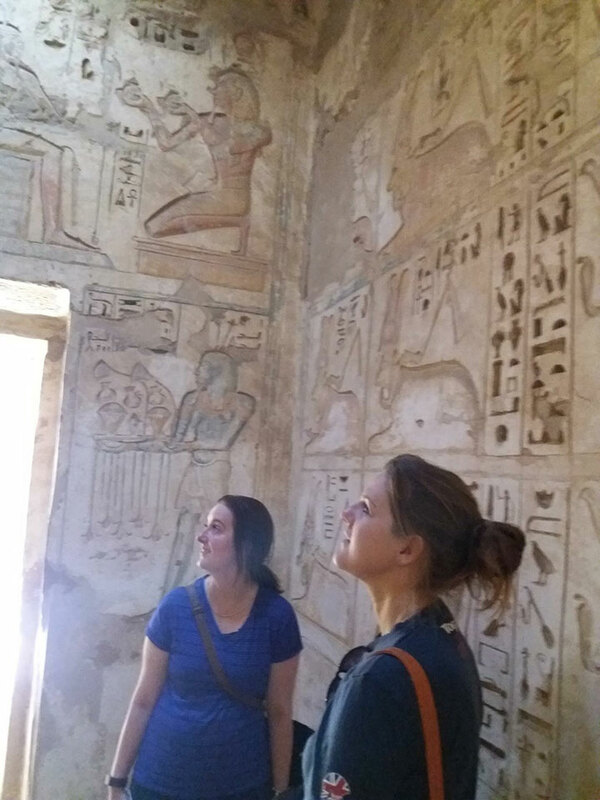 After exploring and with your minds now full of knowledge about ancient Egypt, we move on to fill our stomachs with a late breakfast while enjoying breathtaking views of Habu before heading back to the stables. 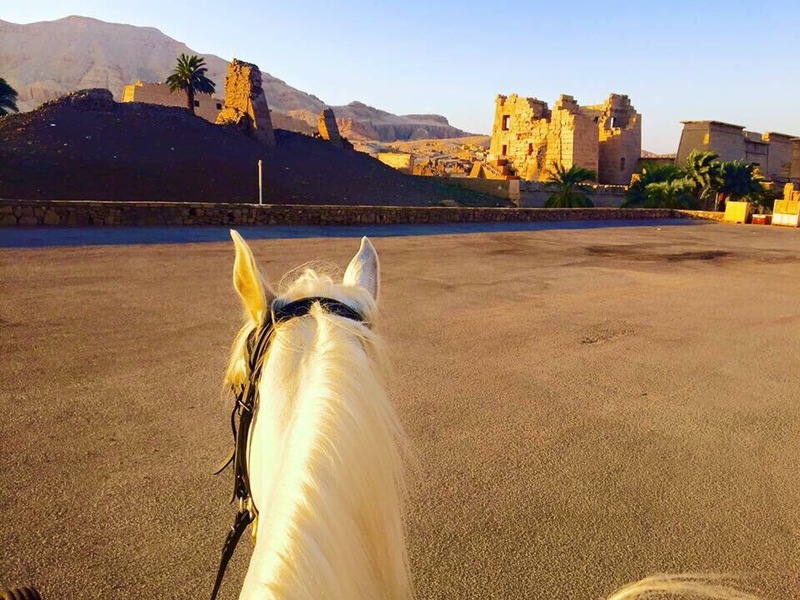 The ride home usually takes another 2 hours, but there is an amazing dirt track through the sugar cane fields on the way back which is perfect for a really long gallop and a chance to really see our horses fly!